Hi guys, today we have a recipe especially for dry, sensitive skin that desperately needs soothing. We begin with Soap Lab's natural Three Butter base which has all the moisturising properties your skin will ever need. This three butter soap is made using Mango Butter, Cocoa Butter & Shea Butter. You can imagine how ‘buttery’ and moisturising this is! Next, we use an ingredient that is well known to help sensitive skin;Calamine. Calamine is well known to treat skin itchiness and if you have dry skin, itchiness is a very common problem. It's also great for use after a day out in the sun to soothe sunburn. Our next ingredient is eucalyptus oil. Its a brilliant anti bacterial oil with healing properties that soothe cuts and scratches. Tea tree oil will prevent acne breakouts and also soothe your skin with its anti-itch properties. 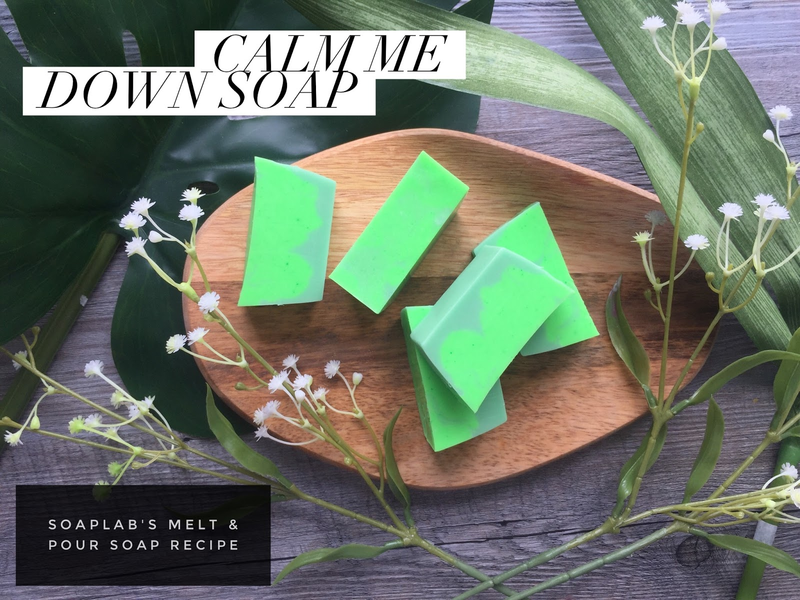 To give the soap the same look as the benefits, we chose two different shades of green for that calming feel.